Carol A. Haave is the former Assistant Secretary for International Affairs at the Department of Homeland Security and the former Deputy Undersecretary of Defense for Counterintelligence and Security. She has more than 25 years of working directly with cabinet-level officials providing defense, security, intelligence, counterintelligence and technology advice, and is noted for adapting commercial technology and innovative programs to benefit the military and security officials involved in conflict situations. Responsible for Homeland Security’s relationships with all foreign countries, Carol was directly involved in successful efforts to identify, disrupt and respond to terrorist and other security threats to the United States and its forces. In addition, she personally led a small team of operational and technology experts who created a “smart” biometrics identification card system for Iraq — collaborating with the governments of Iraq, UAE and Oman — that provides ID cards to Iraqi government personnel (police, military, etc.) and others seeking US base access that continues to have worldwide application today. Carol was the “operations manager” for a $125 million/one year program that built a commercial communications, command and control, and information management system deployed to 33 sites throughout Europe to include Bosnia, along with the first deployment of the Predator UAV that ensured military leaders were privy to the same operational information and intelligence simultaneously. She created and deployed Strategic Counterintelligence Cells to Iraq and Afghanistan that successfully identified nontraditional threats and IED/bombmakers. 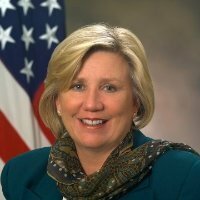 She also led a team of risk and security experts in the development of a risk assessment methodology for the Department of Defense’s critical infrastructure protection to ensure the best application of resources, and another that resulted in the unprecedented increase in priority within the Department to counter cyber threats. As a senior Homeland Security official, Carol has significant experience with U.S. Borders, Customs and all Homeland Security departments. As a senior official at Defense and Homeland Security, she developed and maintains significant international contacts. Carol has over a decade of DARPA experience, including technology transition and information management. She has served as a Management Analyst at NASA and an Inspector at Summa Corporation. She started her government career as a military police officer. They took the time to understand our business, and immediately produced the quality candidates we were seeking. Being very handson and aggressive, they managed the process until we closed the candidate of our choice. I recommend them to any company who wants to recruit the best talent within their industry.